Ayurveda suggests a range of ingredients that can easily be put to use to arrive at home remedies. Asthma is a condition wherein a person's airways are inflamed so as to make in difficult for a person to breathe easily. The respiratory ailment may also come accompanied with other symptoms like wheezing, coughing, shortness of breath among others. A recent study published in the journal of Allergy and Clinical Immunology: In Practice, links asthmatic mothers to risk of delivering underweight babies. Well-controlled asthma during pregnancy could reduce the relative incidence of complications during pregnancy and childbirth, noted the study. "We found that the risk of preeclampsia - dangerous pregnancy-related complication - is 17 per cent higher in women with asthma compared to women without asthma," said the study's lead author Gustaf Rejno from Karolinska Institutet in Sweden." Ayurveda and Yoga expert Vasant Lad in his book, The Complete Book of Ayurvedic Home Remedies describes asthma as a condition that is triggered due to an increase in kapha dosha in the stomach. It then moves to the lungs and other parts of the respiratory system in the body. Ayurveda suggests a range of ingredients that can easily be put to use to arrive at home remedies that will provide instant relief. 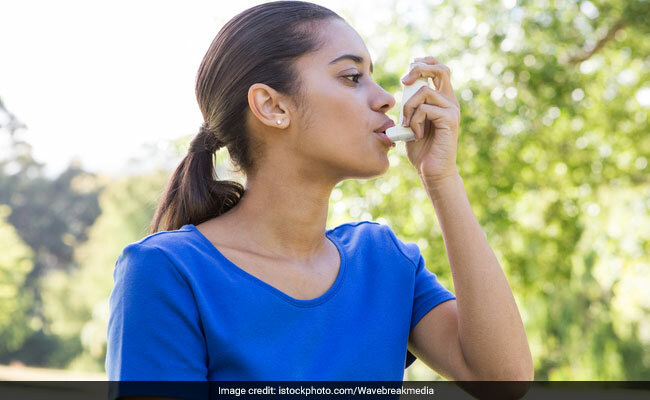 One of the easiest ways to tackle asthma is by including items with hot properties like ginger, clove, honey, pepper, cinnamon, licorice, pippali, nutmeg in your diet along with anti-inflammatory ingredients like turmeric and tulsi. Make ginger tea at home and put some crushed cloves in it, sip on it throughout the day to get relieved. Consult your medical practitioner or a certified Ayurveda expert before trying out remedies at home.